It’s about the bike, stupid! Last December, RoadRUNNER magazine published my article, “The Other Grand Canyon,” a story about a ride Ralph and I took through Palo Duro Canyon in Texas. The editor asked me if I had any photos of our motorcycle at the canyon, and I had to tell her no. Until that time, it had never dawned on me that to most readers of motorcycle publications, the trip is about the bike as much as it is the scenery. I am after all, just a tourist riding on the back. I tried to keep that in mind as I worked on my forthcoming book, Ride Minnesota, looking for exciting backgrounds for “heroic” shots of the bike. We purchased the motorcycle secondhand from a guy who said it had been made for one of the executives at Polaris. It had just 3,000 miles on it. Since then, it’s been to the Grand Canyon and back and all over Minnesota, and the total is now several thousand miles north of 30,000. One of the cool places we found was the Gold Mine Bridge near Redwood Falls. It’s one of the few wooden bridges left in Minnesota. 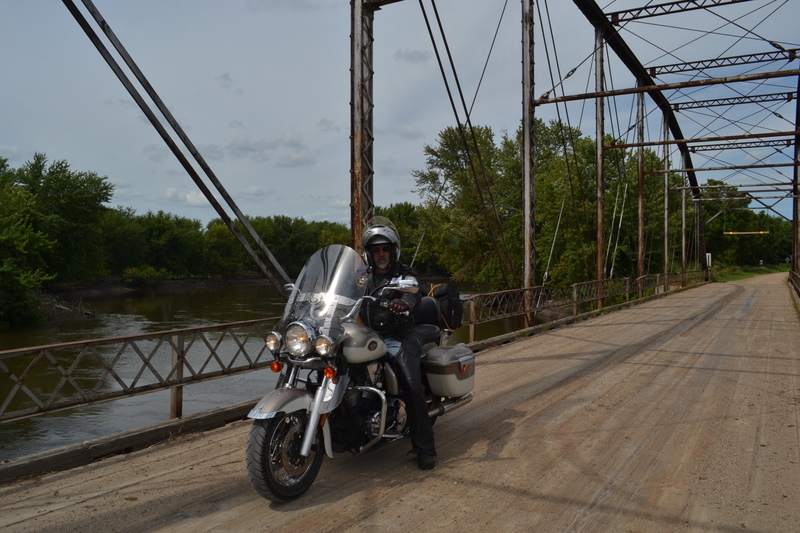 Posted on April 21, 2013, in Polaris, Ride Minnesota, Victory motorcycle and tagged Gold Mine Bridge, motorcycle, Polaris, Redwood Falls, Ride Minnesota, RoadRUNNER magazine, Victory motorcycle. Bookmark the permalink. 2 Comments. Magazine editors like to see the bike. It captures readers’ attention.